Delhi Guest Teachers 2016 PRT TGT PGT 365 Posts Delhi guest teacher Feb. 2016 job NDMC / NAVYUG SCHOOLS invite online applications year 2016 from the for the posts of Delhi guest teacher in various subjects for the session of 2016 – 2017. 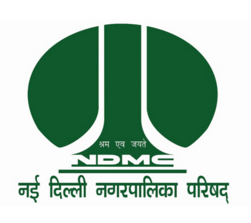 Organization Hiring: New Delhi Municipal Council Palika Kendra, New Delhi Education Department. PGT (commerce), PGT (Sanskrit) ,PGT (Chemistry), PGT (Biology), PGT (Informatics Practices/ Computer Science) , PGT (Physical Education) subjects in NDMC/ NAVYUG Schools. Guest teacher vacancy in Delhi is according to the school i.e. NDMC/ NAVYUG Schools. Eligible candidates may apply on line through the official Website www.ndmc.gov.in from 01.02.2016 to 22.02.2016 till 6:00 pm. Link for apply online is given below. Selection Procedure – Candidates may be selected on the basis of merit list. 90% academic & professional + 10% experience for each category candidates separately. Degree of B.Ed. and six months experience as Guest Teacher/ Contract Teacher from any Govt. aided institution as PGT in concerned subject. Experience of at least six months as a Guest Teacher/ Contract Teacher from any Govt. aided institution as PGT (Physical Education). Post Graduation Degree in Mathematics / Physics / Statics and 3 year Diploma in Computer Engg. / IT / Computer application from a recognized institution by the AICTE/ university. And candidate should have passed the Graduate Degree and B.Ed. and Experience of minimum six months as a Guest Teacher/ Contract Teacher from any Govt. aided institution as PGT (IP / Computer Science). Candidates should have passed the Bachelor’s degree from a recognized university and having at least 45% aggregate marks in two school subjects of whichat least one out of the following should have been at the elective level: English / Mathematics / Natural Science / Physical Science / Social science. Experience of at least six months as a Guest Teacher/ Contract Teacher from any Govt. aided institution as TGT (Various Subject). And working knowledge of Hindi at least up to Secondary level or its Equivalent. Candidates should have Bachelor’s Degree (Hons.) in one of the Modern Indian language (MIL) or B.A. with Modern Indian Language concerned as one of the Elective Subjects from a recognized university with at least 45 % aggregate in marks with one additional language or one school subject at degree level OR Oriental Degree in MIL with at least having 45 % aggregate in marks from recognized university. And Degree / Diploma in B.Ed. with Experience of at least six months as a Guest Teacher/ Contract Teacher from any Govt. aided institution as TGT (MIL). Candidate should have passed the Senior Secondary Examinations (Hindi as a compulsory subject up to Secondary level) with at least 50 % aggregate in marks and a 2-year Diploma in Education from a recognized Board of School or Institution. Experience of at least six months as a Guest Teacher/ Contract Teacher from any Govt. aided institution as Primary / Assistant Teacher. Note: – Candidates, with working knowledge of Computer will be given preference. Candidates should have passed the Senior Secondary Examination With minimum 50 % aggregate in marks (Urdu as a compulsory subject up to secondary level) from a recognized Board od School and a Diploma in Education (ETE/JBT) or B.Ed. from a recognized institution. Experience of at least six months as a Guest Teacher/ Contract Teacher from any Govt. aided institution as Assistant / Primary Teacher (Urdu). Note: – The Experience Certificate for all the posts must be countersigned by the concerned District/ Departmental Education Officer. For PGT / Lecture (various Subjects): – Below 36 years. Note:– Age relaxation will be given to the candidates as per govt. rules. Last date for the registration for the post: – 22.02.2016. Guest teacher shall be engaged only for one year for the session 2016-17 on daily basis till the post are filled up on regular basis. Age relaxation and reservations to SC / ST / OBC candidates will be given as per Govt. rules. Candidates should have passed the CTET examination conducted by CBSE board. CTET certificate will be considered for the posts of Assistant Teacher (Primary) and TGT (various Subjects/MIL). Candidate must state a valid Mobile No. and e-mail id in the application form.